Deal of the Day: Audi Q7 | What Car? The Audi Q7 is another of our nominees for the What Car? Award for Britain’s safest car, standing against other safety-conscious offerings such as the Jaguar XF, Lexus RX and Volvo XC90. The saving which we’ve found at autoebid.com knocks £5526 off the list price of the Q7, bringing the asking price back to the friendly side of £45k. With all the safety assistance technology and five-star Euro NCAP crash test rating required to garner a nomination for our safest car award, there’s no denying the Q7’s safety credentials. 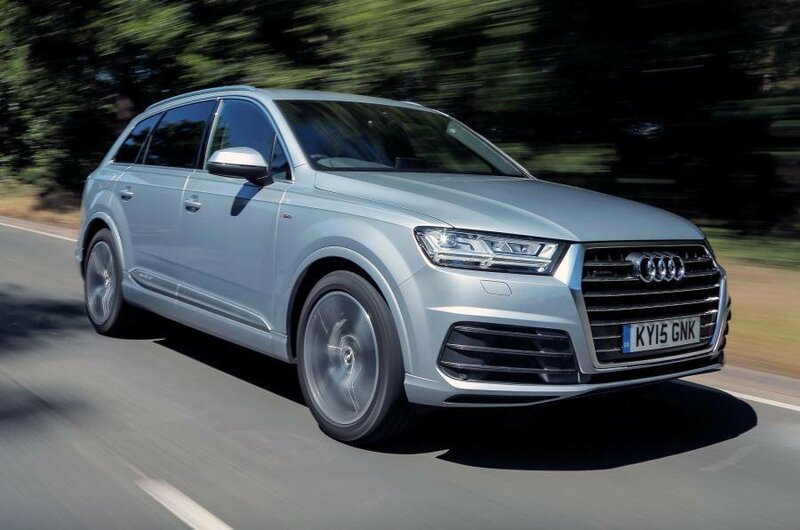 As the more powerful of the two entry-level specs, the 3.0-litre Q7 is surprisingly punchy. Testers over at our sister site Autocar got a 0-60mph time of just 6.2sec from the Audi, which is quicker than the Porsche Cayenne Diesel by a considerable margin. Being the largest car Audi sells, there’s no shortage of space in the Q7. Available in five or, at no extra cost, seven-seat format, the Q7 has plenty of space for passengers and luggage alike. In spite of its practical and performance merits, the Q7 in standard form isn’t that inspiring to drive, with numb steering and so-so handling. If you can shoulder the £2000 Audi charges for adaptive air suspension, and/or the £1100 the four-wheel steering adds to the price, you’ll notice the added comfort and relative nimbleness they respectively bring. At these prices, we can’t fully get behind them, though. Head over to autoebid.com and select Audi, then ‘New Audi Q7 Deals’, then select the 3.0 TDI Quattro SE.